Welcome to the website of the Lea Catchment Partnerships – bringing together people and projects for the benefit of the River Lea and its tributaries. The River Lea and its tributaries - the Mimram, Beane, Ash, Rib, Quin and Stort - drain over 1000 km2 of south-east England. These rivers include rare and precious chalk streams, canals and navigations, and urban watercourses. To find out more about the rivers, the catchment partnerships, and to view the catchment plans, please navigate using the map opposite or the menu bars above. 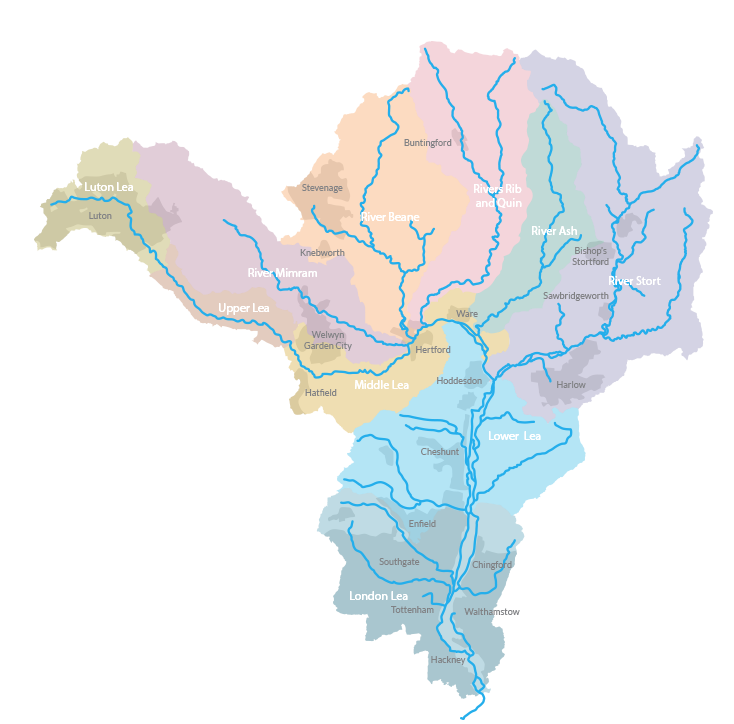 Roll over the map to highlight a river catchment, click to view information for that river and view the projects and their progress.